I don't think I will ever get tired of plaid. What I'm thinking is a good Ralph Lauren plaid. How about a little Martha Stewart plaid? Hold on to your stockings!!! Cause these my friends are just what I had in mind. You can find them at Horchow on sale. The original price was 98.00 and now they are 33.90...what?! I have never ordered from this company before. You? (maybe I can get close and make em)? maybe. 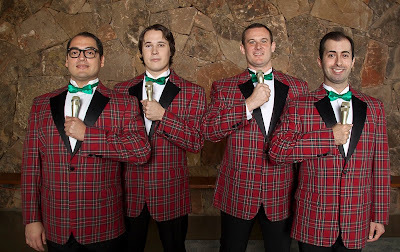 ahhh...I dreaming of a plaid Christmas. Have you started to think about your Christmas theme yet? My mother orders from them all the time. She LOVES their catalog. Go for it. Thanks for the tip on Horchow. I just may have to give em a try. I've been dreaming of plaid all summer long and couldn't wait for it to get fall/winter here in Bama to begin amassing a collection of anything plaid. 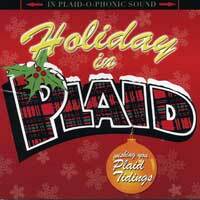 I think I'm gonna have a plaid Christmas too. By the way, I love those stockings, but I'll bet you could make some that look that good or even better. I've been obsessed with plaid lately too, Susie! Going for a Ralph Lauren look in the home office. These are great! Ohhh Shenita. I hope you share your office with all of us when you're done. A Ralph Lauren office will look perfect indeed! I love Plaid! 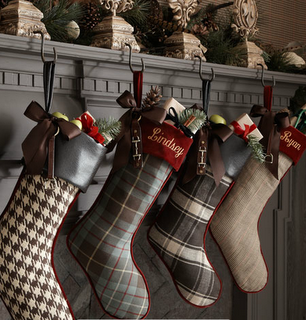 I have ordered from Howchow many times, but if you can sew than I think you could make some beautiful stockings! Go to the thrift store and buy a few plaid wool pendleton shirts and you could make a whole bunch of these. Have a great week, thank you for sharing your plaid visions! I love Horchow! I have ordered towels, sheets and even a canopy bed for my daughter. They are associated with Neman Marcus! Love the stockings, so cute! Go for it girl! I know that your interpretation will be brilliant! Can't wait! Hi Susie, I love plaid too. There's something so classic about a red Christmas plaid. I'm looking forward to seeing your decorations. Thanks Anne. I wnet shopping today and plaid is everywhere. I'm in heaven! Plaid is my FAVORITE color!!!! Love plaids!! You could make those Susie!! Target has plaid in its Christmas section this year!!! I instantly thought of this post! I LOVE your style!!! 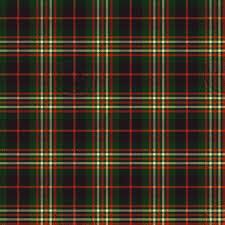 I just was talking to sis about a plaid Christmas! I will also be using a Lauren "theme" this year. I have some old wood advertising boxes and plan to fill them with evergreen and some plaid ornaments I found. 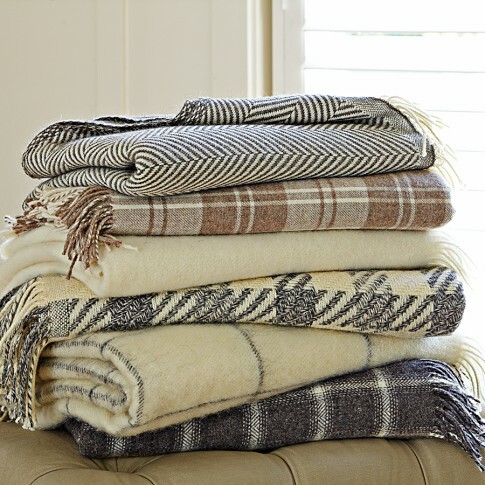 Also going to make some wool plaid pillow slips to use on my chairs on the front porch. The plaids are indeed dreamy. Love the cozy throws and the stockings. I am using some plaids and buffalo checks too. Beautiful! Joann Fabrics had some really pretty plaid fabrics in the "shirting" section the other day...might check that out if you want to sew your own!